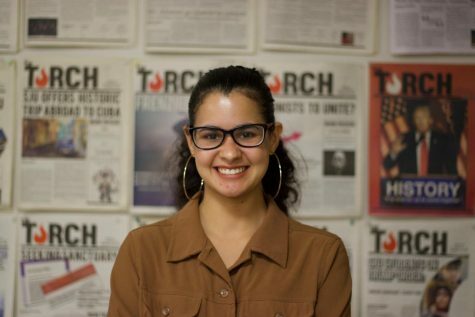 Angelica Acevedo is a senior journalism major with a minor in history. She has been involved with the Torch since her freshman year, and served as News Editor, Social Media Manager, Opinion Editor and Managing Editor in the past three years. As Editor-in-Chief, she hopes to continue to publish impactful, interesting and important stories that the St. John’s community needs to know. Angelica also hopes to grow the newspaper’s staff and contributors by creating an outreach position that will serve to reach out to students that are interested in practicing journalism and organizing workshops to keep them involved. Moreover, she wants readers to understand the work that journalists do and will advocate for more media literacy during her last year at St. John’s University.